Home » Design » Blog » Design Basic » Is Maya Free? If you are new to 3d, you may have started to learn a 3d software like 3ds Max or Maya at an institute, or maybe you are a traditional artist looking to adapt to digital media, to produce a larger variety of art, and get more commercial work. In any case, welcome to the world of 3d! The moment you look for 3d software on the internet, Autodesk Maya will appear as one of the most popular choices for the artist working in industries ranging from animated movies and video games to visual effects in live cinema and advertising. It is user-friendly and easy to use and learn, and once you start using Maya, it is a tool you will fall in love with. It can provide you with a complete solution to create 3d work from scratch to finish, and through the endless hours your will pour into it while you give wings to your imagination, you will rarely be left in a blind spot to execute anything at all that comes to your mind. But once you are out of the learning phase, you have to face the hard choices of life: to work for yourself, or to take a salary? If you choose to take a salary, this question will come in from of you at a much later date, but if you choose to go on your own, you need to first invest in the tools you need for your work as a freelancer or a business owner in the field of 3d content creation services. This is when you will ask the question that is the title of this Maya free post, and we are here to answer it for you and make things clearer. Autodesk Maya has 2 versions – Maya and Maya LT or Maya Lite. For commercial use, Maya is available as a monthly subscription for USD 1505/year or Rs.87, 423 for India, and Maya LT is available for USD 245/year or Rs.11, 308/year for India. You can use the 30 day Maya free trials of both for commercial purposes. To download the Maya free trial version, go to www.autodesk.com or www.autodesk.in for India. For www.autodesk.com, find the software you want to get and click on a free trial. For www.autodesk.in, click ‘Free Trial’ from the menu at the top, and then search the software you want on the search bar, then click on ‘Free Trial’ on the correct search result. On the popup with hardware specifications, click Next. Select between the Business user and Student or teacher. If you choose Student/Teacher, you will be directed to the education Community page for login. If you choose the Business user, you need to then log in with your email or Autodesk ID. After login, you will see a download dialog box, from where you can choose between a direct download or a download manager. 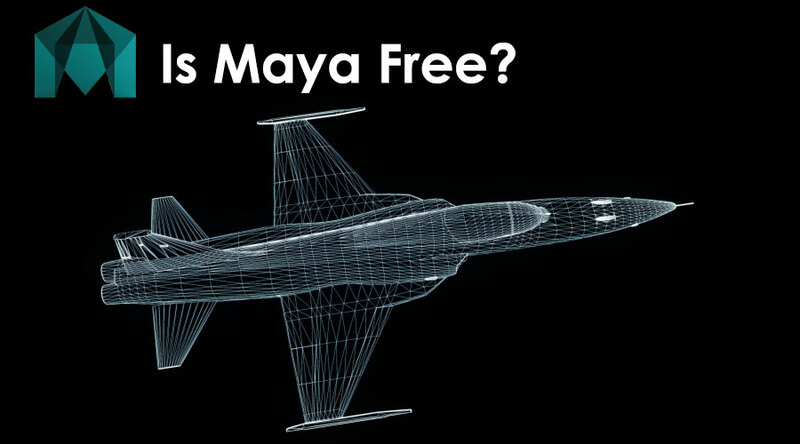 Is Maya Free of Cost? However, if you are part of an educational institution or a student, you can get access to Maya free of cost by creating an Autodesk account. The Autodesk education program is available to students as well as people working for educational institutions all over the world. If you are looking for software you can use commercially and don’t have to pay for at all, Blender 3d from The Blender Foundation is your one-stop solution. It is a complete package with 3d production and post-production capabilities, and a game engine added for good measure. The Blender Foundation produces open movies every year to demonstrate the capabilities of their latest stable version and generates its revenue from the sale of the open movie DVD’s and donations while giving away the software for free. Lately, Blender 3D finds mention as the software used in the making of ‘The Amazing Spiderman’. If you are an artist or designer looking for a solution just to produce 3d models for any kind of stills, there are other options available. Best of them is Google Sketchup. The Maya free version is available as an online tool. To access it, you need to either create a Trimble account, which gives you more facilities like 3D warehouse, Trimble Connect etc. You also have the option to just sign in with your Gmail ID. HomeByMe is a great basic option for generating floor plans. It is aimed at people looking to design homes but can be used for commercial buildings with the tools provided. Vectary is a browser-based 3d tool, aimed at graphic designers it is pitched as a prototyping tool and works on Chrome, Firefox and Opera browsers. Other software that you can explore, based on your need is Daz3D and FreeCAD. Daz3D is posing and animation software with a large repository of models which are available online. FreeCAD is a parametric modeler, which means it can be used to simulate the objects you want to model accurately, based on available parameters. Hopefully, that clears any confusion regarding pricing and usage rights for Maya and Maya LT Subscriptions, and you are now able to make a better-informed choice for the tools you need to work. Go on then, summon that dragon out of thin air!